If you feel especially bad today, please know that the feelings are not yours. I get a whole lot of requests to help people raise their vibration. And there are many people who offer this … many online videos on youtube. No matter what methodology of raising your vibration to pick, you would better decide a handful of things in advance. One of the most important and most wake up call like steps is learning what is your vibration when you start. It is, in my humble opinion, not handy to know merely your vibration score, people also refer to it as vibrational frequency. Why? Simply because your single number won’t say enough. This is a whole lot the same as if I wished to steer you to a healthier lifestyle, but all I would have is your shoe size. If I really wanted to assist you, I ‘d get a lot more measurements, how big you are, etc. And then I ‘d know, or might be closer to know whether I can assist you, and how. What is a True Empath? A True Empath is unique. A True Empath can connect to anything or every single thing, specifically, and reliably, if there is enough details. This means that I will be able to connect to you in the event that I have, for example your photograph. How do I know I am connected? After a few seconds I feel myself in your boots, and feel your emotions. 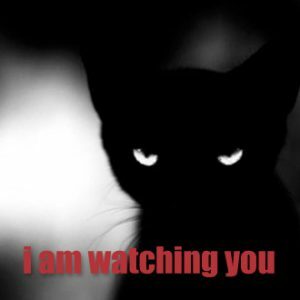 The second reason it’s important to be able to connect to something dependably is the following: unless I am connected to an unbiased 3rd party who is omniscient, I am only going to shoot blindly. So this is what takes place: I attach to you. And then I connect to Source aka All-Knowledge. Now we are actually a triangle. And then I ask questions. And All-Knowledge suggested a code with me, very similar to what applied kinesiology uses … except I am not using my own body to answer and know the truth, I am using my own body to receive the truth from All-Knowledge. I have a set of question, that I question All-Knowledge about you, at the same time I am feeling your feelings. I term these 14 measurements your Starting Point Measurements. The majority of the questions concern your perspective, your purpose, your mindset, your capabilities that are either activated or not. And with that much data, it is much easier to address the question: what can I do now if I wish to raise my vibration? From your numbers I see what is very important to you … not what you say is important to you. You might deceive yourself, but you can not hoodwink All-Knowledge. When you have your measurement, I’ll email them to you with my suggestion. A considerable number of those who request, actually begin doing what might make them raise their vibration … And I am very happy about that. Are you stingy with yourself? Skimping? Well Being, Aliveness, Energy, Inspiration, Life Force: How do you squash them so you are never really well? Vortex Water vs Energizer Water energized with the EnergizerÂ® energy; What is the difference? It is a long journey, but that’s okay because the soul is eternal. The soul’s journey is really a process of evolving. This means growing in consciousness, steadily progressing through different levels or stages of consciousness. 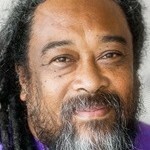 How do we grow in consciousness? Through taking on challenging experiences in physical form. These cause us to make important, “soul-searching” choices and call upon us to discover our inner resources. But why in physical form? Why would a perfectly happy spiritual being decide to inhabit the physical realm with all of its limitations and difficulties? It is precisely so that we can experience the state of what feels like total separation from others and from the rest of reality. Only by going into this physically separated human form can we know ourselves as beings in our own right, and not just as … well … undifferentiated blobs of energy. Being physical throws our experiences and choices into extremely sharp relief in a way that is not possible otherwise. This is how we learn who we are and how to become all that we are. Choice and the ramifications of choice provide the essential lessons of life. In a very real sense, you choose to be here in order to make choices. Each single step requires a whole lifetime to complete. In fact, each step usually requires more than one lifetime. Typically, the entire journey of 35 steps takes well over a hundred lifetimes. So let’s look at the journey in more detail. 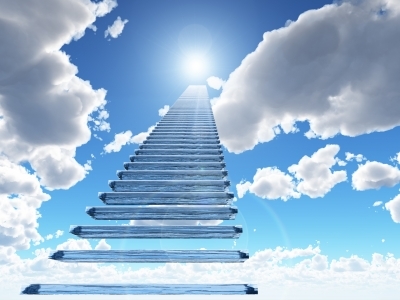 We’ll start with the five major stages of soul evolution through reincarnation. Each of these five corresponds to a specific level of development in capability and self-awareness within the individual soul. As the soul goes through each stage, the focus changes, more experience is gained, and consciousness expands. Incidentally, the same pattern of soul evolution has been identified by the hypnotherapist Michael Newton (right). 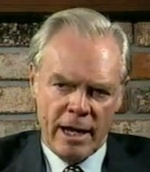 His groundbreaking research was published in the best-selling book Journey of Souls: Case Studies of Life Between Lives (Llewellyn, 1994). The books by Newton and his students draw upon thousands of transcripts of people who, under hypnotic regression, have re-experienced being between lives. From the higher perspective of their soul they are able to explain what happens after death and before birth. This includes information about the levels of consciousness through which reincarnating souls evolve. What Newton and others have discovered is that souls between lives exist in light-form, and that each soul emanates a particular color of the spectrum which indicates its current level of consciousness. The spectrum begins at white (all colors) but then goes through red, yellow, green, blue, to deep purple and violet. From low frequency to high frequency. 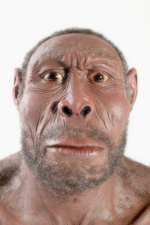 The least evolved souls — the “newbies” — have a pinkish hue. The oldest souls — those nearing the end of the whole reincarnational cycle — have a blueish hue. 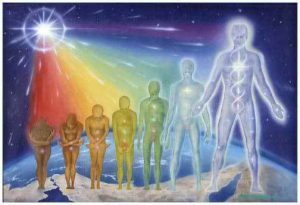 Although the spectrum is a continuum, Dr. Newton has found that it can be divided into five distinct stages or levels of evolvement, from Level I to Level V. These can be mapped onto the five stages given in the Michael teachings, from Infant soul to Old soul. So, for example, souls in the middle (or third) stage of reincarnation are referred to as “Young souls” in the Michael teachings and they are at what Newton would call “Level III”. They will have a yellowish or golden hue. The stages of reincarnation (or soul age) can also be likened to the stages of metamorphosis we see in nature, such as egg, caterpillar, chrysalis, butterfly. In reincarnation, though, what changes is not the physical form but the mode of consciousness, especially the form of self-awareness and — as a result — the way of relating to others. Soul age affects how an individual lives, thinks, acts, and comes across to others. Infant souls focus on immediate survival needs. They flourish in simple environments close to nature, such as remote tribes or rural, pastoral settings. In the context of modern society, however, they can come across as uncivilized simpletons or yokels, and may even be deemed to be psychopathic or have some sort of developmental disorder. Psychologically, infant souls are naive, impulsive and “pre-conventional”, acting on impulse or habit with little or no thought for consequences. Because they lack both social understanding and self-inhibition, they are capable of committing antisocial or immoral acts without any sense of wrongdoing. As such, they do not fit well within modern society and may end up in prison or in psychiatric units. While they may lack the moral principles, social graces and cultural understanding of older souls, Infant souls are in a sense completely innocent, being without pretense or agenda. In contrast to Infant souls, Baby souls think a great deal about the rights and wrongs of their actions. Their lives are about safety, security, structure and order — rigidly so. They like to live in communities that are highly principled and “civilized” (think of the Amish). Baby souls come across to older souls as rather “square” – strictly conventional and conformist. Both their beliefs and their actions are largely rule-bound, so they are often ultra-conservative, traditionalist, orthodox, upright, moralistic, religiously devout, and mindful of law and order. That said, they will occasionally give in to temptation, or temper tantrum, and break the rules themselves — but then might find themselves tortured with guilt and shame. They are acutely aware of the rights and wrongs of people’s actions, including their own, though they have little insight into the motives behind them. Bad behavior is sinful, and that’s that. Young souls tend to be extrovert, outward-bound, worldly, frenetically energetic, brash, competitive, political, ambitious and individualistic. Life at this stage is about thinking for oneself and asserting oneself as an individual. Young souls are more ego-driven than others, keen to make their mark in the world. They are generally attracted to some form of worldly success — fame, fortune, power, glory. In fact, they are more fearful of death than souls at other stages, and those who aren’t sure about life after death may be anxious to make a big impact on the world stage, to create some kind of symbolic immortality for themselves. Young souls cling to their own opinions, with a certainty that their own perspective is the right perspective, and their way ahead is by far the best way. They are very aware of their own agenda but do not really question it. Mature souls tend to be more reflective than younger souls, with a growing understanding of self, growing empathy for others, and a desire for authenticity in both. Life is less about proving oneself, and more about exploring “right relationship”. Mature soul consciousness is no longer egocentric, in the sense of being limited to one’s own perspective and agenda, but is capable of accommodating multiple perspectives and different agendas. In fact, there is now a tension between “what I want” and “appreciating what you want,” or between the personal and the interpersonal. This makes life much more complicated — sometimes overwhelmingly so. On the one hand, mature souls reject narrow-minded values. Yet on the other hand, they are able to empathize with whoever holds those same values. Fixed opinions are replaced by a sense of ever-shifting perspectives — “It all depends on how you look at it”. This disappearance of solid ground can be hugely stressful, but it kicks off a search for deeper meaning and self-understanding, whether through art, psychology, philosophy or spirituality. Mature souls tend to question everything, including their own motives, and are prone to do a lot of soul-searching (literally). 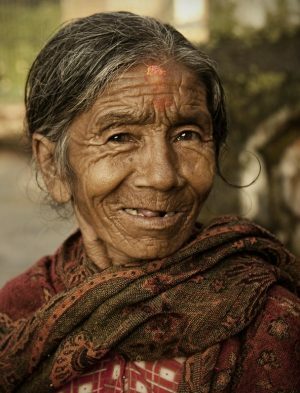 Old souls tend to exude some degree of depth, gravitas or wisdom that is quite obvious. In children, it can be most striking (think: old head on young shoulders) For having moved beyond the stresses and conflicts of the Mature soul, Old souls have a growing sense of inner peace and freedom — the freedom to enjoy being very much in the world, but not of it. Compared to younger souls they are relatively calm, measured, untroubled and stable, unattached to social structures and cultural expectations, being sure of their own existence and inner strengths and their compassion for others. On the other hand, finding themselves in a world that is so conflicted, chaotic, frantic, and superficial can be utterly depressing. For Old souls, the aim of life is to find true self-expression and fulfillment. As such, they tend to go their own unique way in life, letting go and letting be, in a detached way that may seem very weird and eccentric to younger souls. Late-stage old souls find themselves consciously participating in the evolution of all-that-is, and often focus on teaching spiritual wisdom with great compassion. Note: These descriptions emphasize the differences between stages. In reality, though, there is a gradual blend from one stage to the next. A person at the start of the Mature stage, for example, will act mostly like a Young soul but with elements of Mature soul nature beginning to emerge. So we begin reincarnating as Infant souls, complete novices at physical existence. At this first stage we are largely in a state of incompetence and terror, frankly. But through experiences and choices we learn and grow. We steadily progress from being Infant souls to Baby souls to Young souls to Mature souls. Finally, we enter the fifth stage as accomplished Old souls, the experts of human existence. As infant souls we learned about choices having to do with survival, as baby souls choices having to do with moral codes and ethics, as young souls choices having to do with mastery of achievement, as mature souls choices having to do with relationships, and as old souls choices having to do with the nature of oneness with the Tao. An infant soul would therefore not understand the choices of an old soul although an older soul would likely have more understanding of the nature of younger soul choice having had them. The six or seven billion people on the planet span the whole range of stages, but the average is said to be somewhere just past the mid-point of stage 3 (see chart below). In other words, this world is currently dominated by Young souls whose primary focus is competitive self-advancement. Within each stage there are seven discrete steps to go through. In the Michael teachings, they are called “levels”, so in each stage we proceed from 1st level to 7th level. Calling these “levels” can be a bit confusing (since Newton refers to the five major stages as “levels”), so I sometimes prefer to call them “steps”. 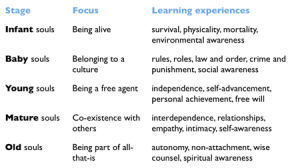 So each stage of reincarnation has seven distinct learning steps. For example, we begin the whole journey at step 1 as Infant souls, learn that lesson, then undertake step 2 as Infant souls, and so on. On completing the 7th step of the Infant stage, we then begin the 1st step of the Baby stage. The early steps in any stage are about experiencing life at this new stage of evolution, learning the essential lessons through appropriate experiences. The later steps are about expressing those lessons, demonstrating this level of consciousness in action. 1st Level Initiation into the new stage. “Toe in the water.” First glimpses of the new consciousness. We come to recognise that there is a whole new way of being ahead of us, and we respond to the call, even though as yet it is beyond our comprehension. 2nd Level Building foundations. Wading in and out. Comparing and contrasting the old and new consciousness. We come to understand what is essential and different about this higher level, though it still remains ‘ahead’ of us, not quite within us. 3rd Level Rising to the challenge. Taking the plunge. We determinedly commit ourselves to actively embrace and explore the new consciousness. 4th Level Integration. Relaxing into it, “enjoying the water.” We now identify ourselves with this way of understanding self, life and others – this is our truth. We fully incorporate and consolidate the new consciousness into our own being. 5th Level Expression. Splashing about – “Look at me!” We openly share and communicate our new, true sense of self and of life’s meaning. We feel drawn to broadcast our truth, to “go public” with it. 6th Level Demonstration. Giving value and benefit to others. “Being a life guard.” Our new consciousness is put to the test. We also burn off any outstanding karma incurred in the earlier steps of this stage. 7th Level Mastery. Peak performance. We have complete understanding and control of our awareness at this level. We know exactly what we are doing. We may feel like a role model. Hmm… What’s next? This sequence of seven steps is repeated through each stage, making 35 steps in all from the beginning of reincarnation to the end. In case you’re wondering, I’m at the 5th level of the Mature soul stage. My current life’s lesson is about outwardly expressing my Mature soul consciousness. 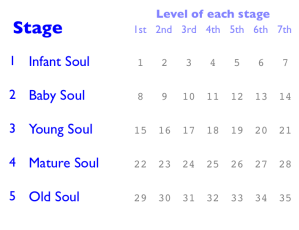 So, we start our evolutionary journey at level 1 of stage I (as “1st Level Infant souls”) and end it at level 7 of stage 5 (as “7th Level Old souls”). There are 35 steps in all. And each single step requires at least one lifetime to complete. 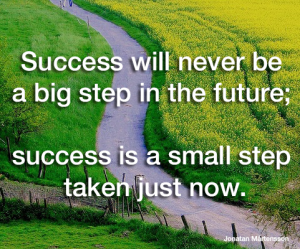 A single step can be done in one lifetime but often that’s too big a stretch, so an initial life may undertaken as a taster, followed by one or two more which really go for it. Taking into account all the gaps spent in the non-physical state between lives, a single step is typically accomplished in about 100-300 years of Earth time. The whole journey of 35 steps usually takes well over 100 lifetimes. Hence, the whole journey is likely to take of the order of 7,000-8,000 years, but possibly a lot more if the population is low and opportunities to incarnate are few. Coming back again and again sounds dreadful. Why don’t we just give up and be done with it? Can’t I just decide that this is my last time? You cannot skip any of the steps, nor would you want to (from the soul’s perspective). You wouldn’t rent a movie but then skip to the final credits just to avoid the whole process of sitting through the movie. In fact, it’s more like a computer game. You are playing the game because you want to, and at some level you actually love it. And you know perfectly well that you need to master one level before you can move on to the next level. That’s what the game is all about. There’s no tyrannical deity controlling the game, forcing you to keep at it, deciding who gets to “graduate” and who doesn’t. It’s just the natural dynamic of life and the evolution of consciousness. A tadpole cannot suddenly transform into a full-grown frog. A baby human cannot suddenly take on a professional career or family responsibilities. There’s a natural, inevitable sequence to go through. And we’ve all signed up for it. But why? What’s it all about? Well, at the level of spirit or essence, all is one, all is love, all is joy. This is all very nice, but consciousness longs to experience more and more of what there is to experience, the utter richness and fullness of life. By fragmenting into zillions of conscious entities, each of whom has its own experiences and perspective, and each of whom can make its own choices about what to experience. Any soul can choose to continue being submerged in all-that-is, albeit with little sense of self. Alternatively, any soul can choose to undergo the experience of life in a separate physical form, interacting with other souls in their own physical forms. This is the ultimate way to experience oneself as a self. And that’s why we are here? We have all made this choice: to use the human form as a vehicle to help us become more conscious of ourselves as the amazing beings we are. The aim is to experience every possible experience that enables us to emerge more and more consciously and fearlessly as ourselves. We begin as helpless infants for whom the experience of separate existence is quite terrifying. But we end as autonomous, self-realized beings for whom human existence is the most amazing way of being, feeling joyful and free and sharing love with the whole of life. Copyright © Recommended By Sophie 2019. WordPress theme by Ryan Hellyer.